Ideal preparation for any pilot attending a PHONE or SKYPE interview. 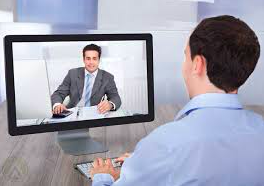 The Virtual Interview Program simulates precisely a web based interview with the advantage of continual practice and self assessment combined with our Work Book to ensure a complete and thorough interview preparation. Perfect for preparing for your Flipbase Video. The pilot interview software will, over a series of eight virtual interviews put you face to face with the interview panel. In a real life environment you will be faced with over 100 of the most typical airline pilot interview questions. You are then given the opportunity to answer the question in your own time before moving onto the next question. Used in conjunction with the included Airline Pilot Interview Work Booklet the software will allow you to practice and perfect your interview technique right up to the moment of your interview. The Virtual Pilot Interviews are an ideal way to prepare you for both a panel interview and phone, skype or web based interviews. Web based interviews are becoming more common and are currently in use with airlines such as Australia’s QantasLink. The Airline Pilot Interview Software can be accessed immediately on purchase and is available for you to prepare for your interview 24/7. Typically pilots spend upwards of $75,000 on their training and countless years in general aviation or other low paying jobs, only to invest little or no time on the most critical stage of their career, the airline interview. Failure to prepare correctly can result in the loss of hundreds of thousands of dollars in potential income, as well as years of seniority.Today’s modern airline interview is based on the behavioral interview concept and should not be attempted unless fully prepared. 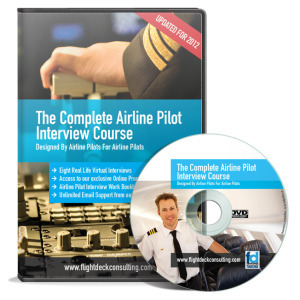 This DVD and Online Course from Flightdeck Consulting has been produced and developed by airline pilots for airline pilots. Most pilots are very good at what they do, safely operating aircraft, but perform poorly when it comes to the airline interview. Quite often they are left bewildered as to why they were unsuccessful, especially, when another pilot, with far less experience, has been offered a position. The answer; they performed better in the interview, simple as that! 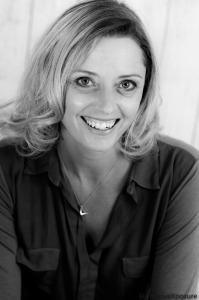 If, having purchased our Premium Interview Package you decide to upgrade to our One on One interview Coaching package you will benefit by paying a discounted rate via our Premium Package Upgrade. Cathay Pacific, Virgin Australia, Jetconnect, Australian Defence Force, Jetstar, Oxford Aviation Academy, CTC Aviation, FTE Jerez, EPST, Bristow Helicopters, Bond Helicopters, British Airways, Aer Lingus, EasyJet, Monarch, Middle East Airlines, Etihad, Qatar Airways, Air Mauritius, Sri Lankan Airlines, TAP Portugal, Scandinavian Airlines, Jet2, Dragonair, Fly Dubai, Air Astana, Kenya Airways, Copa Airlines, Oman Air, Darwin Airlines, Brindabella Airlines, Singapore Airlines, TigerAir, Thai Airways to name but a few. Jason Robinson also contributed to the writing of the book. Jason has over 11000 hours flying the Boeing 777, 744 and Embraer E-Jet. At any stage you can upgrade your purchase to include our personalized One on One Interview Coaching service conducted via Skype or telephone with our professional aviation interview consultant Sasha. Make an investment in your future and Be the Standout Candidate at your interview!